The Only People To Have Won an Emmy, Grammy, Oscar, Tony, and Pulitzer Prize Both Happen To Be? In the 1920s, Americans Saved The Economy of Ecuador By Consuming Millions Of? Among Hollywood’s elite, there is a certain halo of accomplishment that comes with collecting an Emmy, Grammy, Oscar, and Tony award, commonly referred to as achieving an “EGOT”. In the history of the industry, only twelve people have accomplished this feat. Then there’s a tier of award achievement even rarer than that, however, the prior four awards plus a Pulitzer Prize–a feat that only two people in history have achieved. If you’re planning on following in their footsteps, you’d better hope you’ve got incredible musical talent because the only two people to have so heavily laden their trophy shelves were both composers. 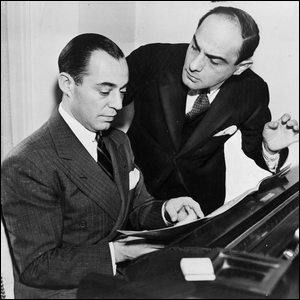 Both men, Marvin Hamlisch and Richard Rodgers (of Rodgers and Hammerstein composition fame), achieved their Pulitzer cherry-on-top Prize through their compositions–Hamlisch for his work on the Broadway production A Chorus Line and Rodgers twice for his work on South Pacific and Oklahoma!